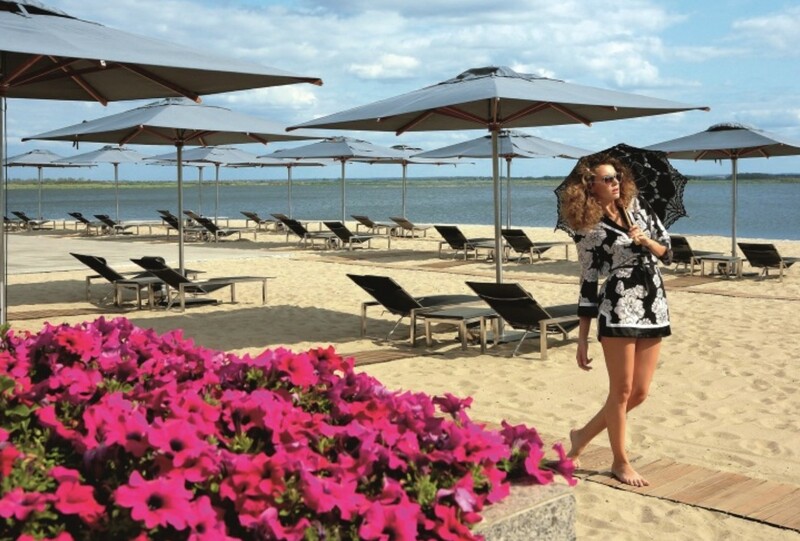 Comfortable beach of SunRay hotel complex is a paradise on the bank of the Samara Gulf. Here you will immerse oneself in the atmosphere of absolute relaxation: snow-white sand, a stunning bay, comfortable chaise longues and soft towels will ensure you a perfect holiday. Summer menu and refreshing cocktails from the restaurant will give energy boost and the indoor pool and outdoor Jacuzzi will be your favorite place. You will have no question any more where to spend your next weekend! You can refresh after the water treatments in the summer bar next to the beach. A wide range of light snacks and drinks will help you to fulfill your energy. The picturesque view, light music and cool cocktails from the summer bar are the key points of a comfortable and relaxing holiday.